The Global Alliance for Vaccines and Immunization (GAVI) and The Vaccine Fund are two major global initiatives adopted with the objectives of improving access to immunization services particularly in the underdeveloped and developing countries and introduction of new but under-used vaccines in the developing countries in particular where these diseases are highly prevalent. GAVI is a collaborative mission that brings together governments in developing and industrialized countries, UNICEF, WHO, the World Bank, the Bill & Melinda Gates Foundation, vaccine manufacturers and all other stake holders to harness the strengths and experiences of multiple partners in immunization. The Vaccine Fund is a financing mechanism established to mobilize resources to serve the mission of GAVI. This article reviews the objectives, strategies, organization and the funding issues of this global initiative. In the Indian perspective, GAVI is presently playing a major role in introduction of Hepatitis-B vaccine for infants in India. The article outlined the pilot project currently being implemented by GoI and the future prospects of integrating Hepatitis-B vaccine and auto disable syringes into the routine immunization program as well as strengthening the routine immunization services when the government decides to expand the project. Japanese encephalitis is demonstrated to be a significant public health problem in India and throughout Asia. JE primarily affects children between the ages of one and 15 years. Of those who contract the disease, approximately 70% either die or are left with a long-term neurological disability. JE vaccines have existed for a very long time, however due to cost and unstable supply, they have not been able to meet the needs of developing country health systems. In addition, alternative JE control measures have proven insufficient to control disease. As a result, 68 percent of babies born in the poorest countries of Asia are at risk for JE. 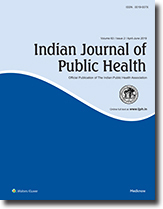 Against this background, future directions for JE activities in India include control through vaccination when an affordable vaccine is available (at risk areas), strengthening surveillance data on disease patterns including age and geographic distribution, involvement of the private sector and incorporation of newer diagnostics as they become available and to focus on control efforts and prevent this debilitating disease now and in the future. Recent work, both internationally and in India, offers hope to help solve this public health problem and protect children from this disease. The GOAP-PATH partnership project provided an opportunity to carryout situational analysis of the cold chain system in the State of Andhra Pradesh. Apart from identifying areas of work many quality issues like freezing of vaccine were brought to light, which lead to development of a comprehensive plan of action for total overhauling of cold chain system. Introduction of new technologies, training, infrastructure and software development has reformed the cold chain system. The EVSM (Effective vaccine stores management initiative) self assessment was done recently for the Central vaccine stores at Hyderabad and the results of this self assessment has raised the confidence of health personnel to aim for WHO, EVSM accreditation for central vaccine store at Hyderabad. The partnership project with Gates foundation grant in 2001 was rolled out in a phased manner to strengthen routine immunization with introduction of Hepatitis B and AD syringes into immunization program. Initial success lead to reworking of plans for fast expansion, in three years with consolidation and strengthening in last two years. With introduction of AD Syringes the issue of safe disposal became prominent. Operational research on the safety box led to modifications in the prototype, introduced new challenges to find local manufacturers to make the product for wider introduction. This improved scope to coordinate with other projects to integrate safe injection pits into the disposal system, try out new solutions for sharps waste management in light of new pollution control guidelines. Study at Mehboobnagar district point towards feasibility of introducing small puncture proof containers and needle cutters as a solution for sharps waste management at the rural settings. Injection safety has been introduced in immunization sector and the challenge still remains to extend this to the curative sector, which contributes to more than 90% of the problem. Hepatitis B is a viral infection of the liver and is serious global public health problem with a high risk of death from cirrhosis of the liver and liver cancer, diseases that kill about one million persons each year globally. Globally, of the 2 billion people who have been infected with the hepatitis B virus (HBV), more than 350 million have chronic (lifelong) infections. It is preventable with safe and effective vaccines that have been available since 1982. Although the vaccine will not cure chronic hepatitis, it is 95% effective in preventing chronic infections from developing, and is the first vaccine against a major human cancer. More than 160 countries have already added this vaccine to their routine immunization programmes. Available epidemiologic studies in India and AP indicate that India is in intermediate endemic status (with a prevalence of 2 to 7%) and the best way to reduce the prevalence as per the strategies outlined by WHO is to introduce Hep-B vaccine into routine immunization. AP is the first State in India to introduce Hep-B vaccine in the routine immunization in a phased manner. In-spite of the initial apprehensions and slow take up, the program is proven to be successful and Govt. of India has made budgetary provisions in the 10th plan for introduction in rest of India. Andhra Pradesh has built a model immunization program over the last few years. Main accomplishments include the state's adoption of hepatitis B for all its newborns and now, for the first time, the Indian government is offering universal coverage of all Indian infants with Hepatitis B vaccine. The AP government, working in partnership with PATH, an international, nonprofit organization based out of Seattle, Washington, USA, has made a series of improvements to the health system. The partnership fostered widespread adoption of safe injection practices and technologies, and improved immunization systems through responsive, supportive management. Japanese encephalitis (JE) control was greatly enhanced through the AP government partnership with PATH, resulting in a 90 percent reduction in cases of JE within the first year of joint efforts. BCG (Bacillus Calmette Guerin) vaccine remains a highly controversial method of preventing tuberculosis and leprosy despite more than eighty years of use. The protective effect against tuberculosis observed in various studies ranged from -56% to 98%. Case-control studies carried out at Nagpur reported moderate effectiveness of BCG vaccination in prevention of tuberculosis. Its effectiveness was higher against extra-pulmonary tuberculosis. The summary protective effects obtained from meta-analysis of trials, cohort studies and case-control studies of BCG vaccination and tuberculosis were 51 (33-64), 76 (63-85), and 65 (57-72) percent respectively. The case-control studies carried out at Nagpur also demonstrated a significant protective association between BCG vaccination and leprosy. The summary protective effects obtained from meta-analysis of trials, cohort studies and case-control studies of BCG vaccination and leprosy were 43 (27-55), 62 (53-69), and 59 (46-68) percent respectively. The results of the current study and systematic review thus supported arguments favoring use of BCG vaccine for prevention of tuberculosis and leprosy. Neonatal Tetanus (NNT) elimination has been defined as an annual incidence of <1 case of NNT per 1,000 live births in each district of a province, state, or country. Reported incidence of NNT does not always reflect the true dimension of the problem. Thus, NNT mortality survey was planned during November 2003 to validate NNT elimination in the state of Andhra Pradesh. Firstly, based on review of records and recommended standard algorithm, two highest risk districts, namely Kurnool and Mahbubnagar were identified. In the second stage, NNT mortality survey was conducted in these two districts using lot quality assurance-cluster sampling (LQA-CS) methodology. In each of the two districts, 62 neonatal deaths were detected with no deaths due to NN, indicating incidence of NNT below 1/1000 LB. Thus, validation of NNT elimination may be concluded. A coverage evaluation survey was carried out in the five districts of West Bengal and Goalpara district of Assam during the period from November 2002 to April 2003 through 40 clusters sampling technique. Results revealed that highest coverage with routine immunization was in Paschim Medinipur (82.5%) followed by Kolkata (71.6%), Malda (65.3%), 24 Parganas South (61.9%) districts of West Bengal. Murshidabad district of West Bengal had only 41.3% coverage while poorest coverage was observed in Goalpara district (27.2%) of Assam. "Not aware of the need for routine immunization" was the main reason for not being vaccinated with all the UIP vaccines. Vaccination was given mainly through government hospitals in Kolkata while it was administered mainly through subcentres in the other rural districts. A cross-sectional non-interventional survey was carried out in 5 districts of West Bengal and one district of Assam to find out the extent of coverage during IPPI. It was observed that in the recent rounds of IPPI, more than 95% coverage was observed in all the surveyed districts excepting in 24 Parganas South where coverage was around 92%. Situation at the Goalpara district further needed attention, as the coverage during February 03 as well as in the past two rounds were 90.13%, 88.13%, and 91.04% respectively. In all these districts booths were the main sites for IPPI dose though 1/3rd to 1/4th of the beneficiaries received immunization at home also. It was also observed that around 10% of the beneficiaries were not administered any PPI dose in the either of the rounds, in 24 Parganas (south) & Murshidabad districts, from where maximum number of Poliomyelitis cases were reported. At Goalpara it was 19%. Main reason for not being covered with PPI doses in either of the rounds in all the districts excepting Kolkata was "Not aware of the need for additional doses". In Kolkata "child sick" was the main reason. Health workers were main source of information of PPI in South 24 Parganas (67.13%), Malda (58.25%) & West Midnapur (54%). At Murshidabad "announcement through mike" (61.25%) was the main source of information while in Kolkata, TV was the main source (67.13%). Miking (56.38%) was the main source of information for PPI at Goalpara district of Assam. It was observed that involvement of multiple methods & media of communication was helpful in disseminating dates & other information of PPI.